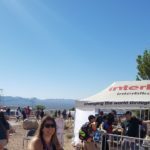 was one of the highlights of my last trade show/conference journey. 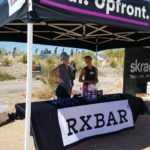 Here I am, back in Las Vegas for a whole different kind of spinning…the INTERBIKE International Expo, where bicycle dealers, manufacturers, clothing, health, and food brands, and lots of other bike-related businesses gather to find out what’s next around the curve in their industry’s road. But before I shift gears and write about the business of biking, I feel compelled to steer towards the magic of biking. Long before bikes were customized and personalized, electricized (lots more about that to come), and accessorized, they were the sole mode of pre-drivers-license transportation. 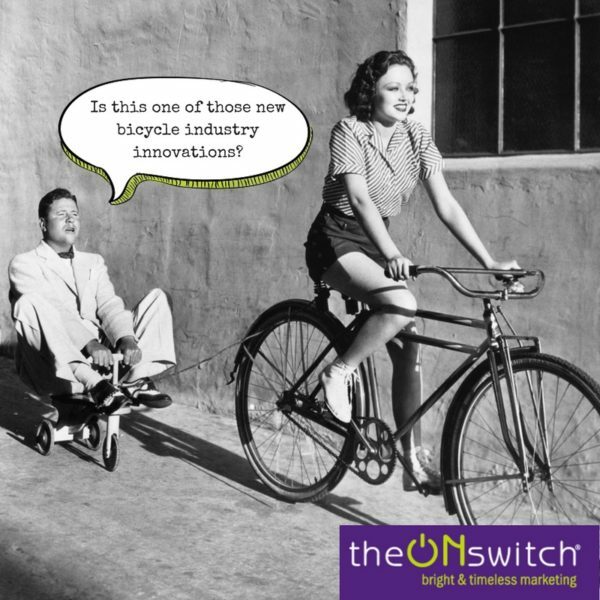 Many of us remember the day we first learned to ride without those training wheels…the cool factor of having a 1960’s Schwinn Sting Ray Banana Seat Bike (which was brought back to life for a cool $399 in 2011). 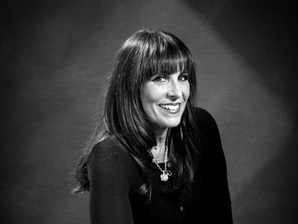 When I got my first 10-speed bicycle in high school, I enjoyed true freedom, often taking off after dinner to visit my friend Beth or to simply cruise around Queens, the breeze in my hair (because we didn’t think to wear helmets back then). Accessories were bells and streamers. Cycling, like all industries, has become big business. On the bus to and from Bootleg Canyon (where the first day of the show is an outdoor demo experience), I spoke two very different types of business owners — an “old school”and well-established bike store owner from Texas who still provides the human touch and a start-up “craft bike” manufacturer who plans to sell highly-customized bicycles remotely. I’m sure I’ll see more tech and fun gear at the indoor show, but I window shopped a little at the SP Gadgets tent. No one hops on a bike these days without her phone. You can’t just take a ride these days — you need to Instagram or YouTube it too, so you need to ensure your devices stay safe and sound. 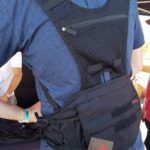 Among the other cool innovations I saw was a low-riding hydration pack with lots of gear pockets from Henty. 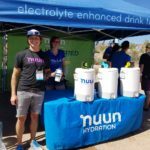 To protect your health on the road or off-road you have Nuun’s range of electrolyte-infused and tasty beverages and one of my long-time personal fave snacks (walking and riding and just sitting), RX Bars. 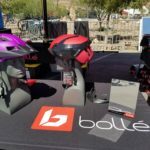 If securing your brain (and not just your devices and body) is a priority, you now have a wide range of stylish, super-light, and versatile helmets, thanks to Bolle. 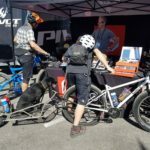 In short, like all industries, the bicycle world has become more competitive, complex, diverse, global, colorful, personalized, and tech- and gadget-filled. We have the mega companies (that have bought smaller companies) and the small brands who are trying to keep it real and provide a personal touch. 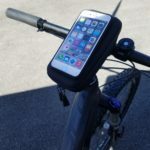 As more people look to biking as a commuting method and not just a weekend activity, we’ll see more carriers, electric options, and clothing variations. But that feeling of escape and wind in your hair (even if it’s through protective gear) will never go out of style! Bike Your Puppy to Work Day!